I’ve written more about OBD II readiness monitors than any other subject that I’ve covered at JustSmogs.com. Unfortunately, I don’t think that I’ve done a very good job explaining what they are. …If the monitor on my car is the problem, how much does it usually cost to get a replacement monitor? Smog Check OBD II (OBD 2): What are Readiness Monitors? Is an OBD II monitor bigger than a breadbox? An OBD II readiness monitor is not something that you can see, touch, smell or taste. You can not repair or replace an OBD II readiness monitor. If you were told that your vehicle did not pass a smog inspection because your car’s OBD II readiness monitors were not complete, it doesn’t mean that you have a bad monitor. OBD II readiness monitors are not sensors! Your car has an engine control module (Computer). That computer is loaded with software that performs many functions. Some of those functions, or processes, are referred to as OBD II readiness monitors. OBD II readiness monitors are software processes that monitor (Test) critical emissions control systems. These processes (Monitors) are referred to by name of the system(s) that they monitor (Test). Not all of the above monitors will be programmed into every vehicle. For example, there will be no Secondary Air Injection monitor on a vehicle that is not equipped with a secondary air injection system because there is no secondary air injection system to monitor (test) on that vehicle. 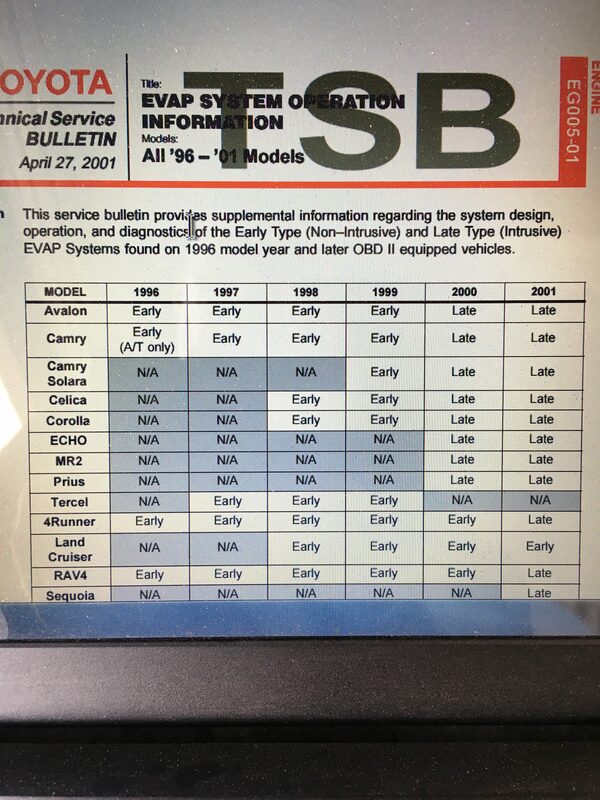 Again, OBD II readiness monitors are tests run by your vehicle’s computer software. OBD II readiness monitors are not physical components or sensors. The author of that post is a confused about OBD II monitors, but that’s OK, so are many automotive professionals. Also, there is not a 1:1 ratio between monitors and sensors. Even if a gasoline powered vehicle is equipped with “100 sensors”, It will have no more OBD II readiness monitors than those listed above. Why are OBD II Readiness Monitors Important? When your car’s computer detects a problem that could cause an increase in harmful emissions (Smog), it will set a diagnostic trouble code (DTC) and turn on the “Check Engine Light”. 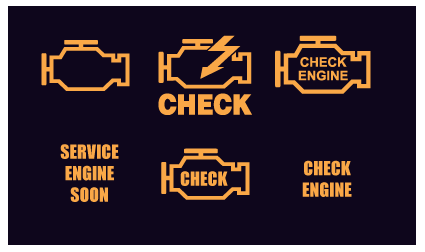 The check engine light is also known as the Malfunction Indicator Light (MIL), Service Engine Soon, and the funny looking thing with the lightning bolt going through it). The computer identifies problems by running the diagnostic tests that we call monitors. If no diagnostic trouble codes are stored in memory and all OBD II readiness monitors are complete, it is safe to assume that the vehicle’s emissions control systems are working properly; however, if the monitors are incomplete, there might be a problem with the emissions control system that has not been identified. Since OBD II testing and system health is a major component of today’s smog inspection, a vehicle can not pass a smog inspection unless all systems are ready. If they’re not broke, then why aren’t my monitors ready? By design, OBD II monitors are composed by tests that run in the background and the average motorists never has to give OBD readiness monitors a second thought. The results of tests run by OBD II readiness monitors are stored in what is known as volatile memory. Volatile memory, contrary to non-volatile memory, is computer memory that requires power to maintain the stored information; it retains its contents while powered on but when the power is interrupted, the stored data is lost immediately or very rapidly. That means that if the computer in your vehicle looses power for any reason, the results of tests run by the computer’s OBD II readiness monitors will be cleared (erased, deleted, etc). A dead or depleted battery. A battery that has been disconnected. Electrical problems that could include blown fuses and damaged wiring. One of my customers had an ignition interlock device installed on her vehicle after she plead guilty to a DUI. The device installed on her vehicle worked by interrupting the power supply to her car’s computer. Because of that interlock device, the OBD II readiness monitors on her car were cleared every time she turned switched off the ignition on her car. When power returns to the computer all monitors will indicate a “Not Ready” or “Incomplete” state (The term used will depend on the diagnostic scan tool used to check monitors). When a car comes into a shop with an illuminated check engine light (MIL), the vehicle should be properly diagnosed and repaired. In some cases the check engine light may be cleared as part of the diagnostic process. A technician might gather relevant information, and then verify that the problem still exists by clearing the code and confirming that the code returns under similar conditions. In any case, the check engine light is usually cleared following the completion of repairs. By design, when codes are cleared using a diagnostic scan tool or code reader, OBD readiness monitors are also cleared. Most shops will instruct their customer to drive the car normally, and return to the shop only if the original symptoms, including the illuminated check engine light, return. In most cases this isn’t a problem, but what if the customer leaves the repair shop and drives straight to a smog shop? That customer might have a problem. So, what do I have to do to get my monitors ready? I won’t begin to describe some of the silly and outright dangerous schemes that people come up with to avoid driving their own cars. Each monitor (Test) has a specific set of conditions (Enabling criteria) that must be met before that monitor can be run to completion. The best way to complete readiness monitors, especially on car that is having trouble completing those monitors, is to obtain a copy of the manufacturer’s suggested drive cycle. In most cases, that drive cycle is only an internet search away. I can’t do that in Los Angeles/Orange County traffic! 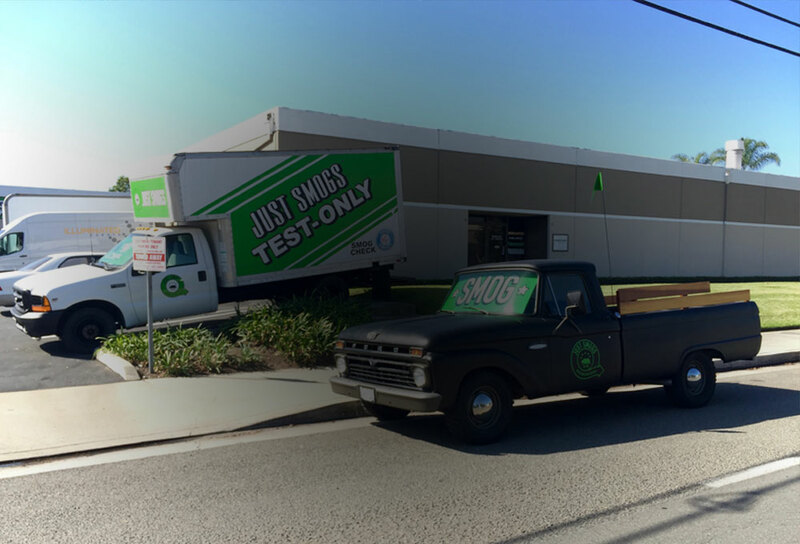 At Just Smogs® in Huntington Beach, we frequently perform OBD II readiness drive cycles for our customers during normal business hours. Earlier this month, a customer from Temecula brought us a Jeep with “impossible to run monitors”. After allowing the Jeep to fully cool down, one of my team members warmed up the Jeep and took it out for a spin. He was back in less than an hour. All monitors were complete. Follow all manufacturer instructions, not just the ones you like. Deviating from the drive cycle instructions briefly can take you back to square one. I often recommend running monitors early on a Saturday or Sunday morning when traffic is usually light. Also, some monitors will not complete during extremely hot or cold weather (Usually the EVAP monitor). In most cases, allow the vehicle to cool down completely overnight. It’s usually important to perform a complete warm up cycle before beginning the drive cycle. Allow the vehicle to warm up naturally while idling. Unless the drive cycle instructions indicate otherwise, avoid revving the engine in an effort to warm it up quickly. Once again, follow the manufacturer’s instructions completely! I’ve done all that, and they still wont run! There are times when the drive cycle will not work! Normally a problem with a monitored system, sensor, or other component, will trigger a diagnostic trouble code and the computer will turn on the check engine light. However, sometimes an under-performing system that is on the verge of failure will prevent the completion of a test, but not trigger a diagnostic trouble code. For example an under-performing oxygen sensor might prevent the completion of a catalyst monitor, or an exhaust leak might affect an oxygen sensor’s performance just enough that it prevents the monitor from running to completion. Even though the check engine light might be off, a monitor might not complete until necessary repairs are performed. Some vehicles have known software or hardware issues that prevent monitors from being run to completion. In those cases the vehicles computer may require reprogramming or replacement. The vehicle may even be subject to a manufacturer recall. More information about OBD II monitors and problem vehicles can be found in the OBD II Smog Check OBD Reference maintained by the California Bureau of Automotive Repair. 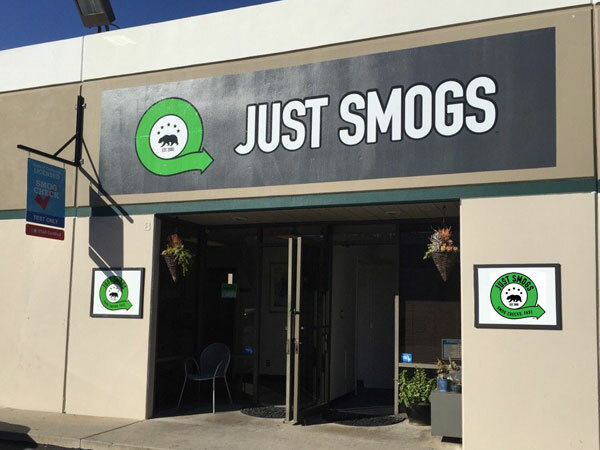 Just Smogs® in Huntington Beach specializes in the diagnosis and repair of emissions related issues including OBD II monitor issues. 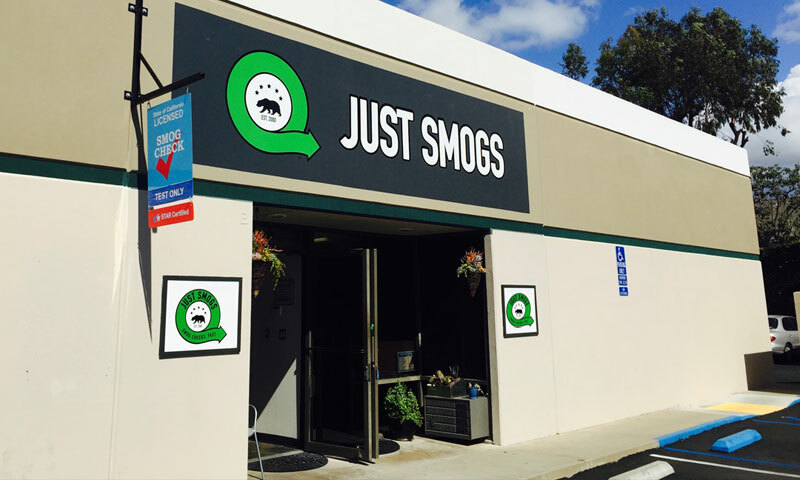 For information about diagnostics, repair, or the Just Smogs® monitor drive cycle service, call Just Smogs® at (714) 596-1019. What Does The EVAP System Do? The evaporative emissions control system (EVAP) on your vehicle is designed to prevent fuel vapors from escaping into the atmosphere from your gasoline tank. Fuel vapors are composed of hydrocarbon molecules (HC) which when exposed to sunlight and oxides of nitrogen (NOx) result in photo-chemical smog. Photo chemical smog is that brown hazy stuff that nobody wants to see in the sky. These compounds are also known to cause eye irritations and respiratory problems. That’s why hydrocarbon control and reduction is a major component of your car’s emissions control strategy. How Does The EVAP System Work? r gas tank evaporates fuel vapors are collected and stored in a canister filled with activated charcoal (the EVAP canister). When your engine is running and warmed up, engine vacuum siphons stored fuel vapors from the EVAP canister and into the intake manifold. These fuel vapors are added to the engine’s air fuel mixture and are burned off as part of the normal combustion process. When many people see a “Check Engine Light” (Proper name: Malfunction Indicator Light ; a.k.a MIL) they immediately think, “Check the gas cap”. That’s because a missing, loose, or damaged gas cap often is the cause of an illuminated MIL due to a failed EVAP leak test. Under specific conditions, often while your vehicle is parked overnight, your vehicle’s on board diagnostic system (OBDII) will perform a series of EVAP system tests. 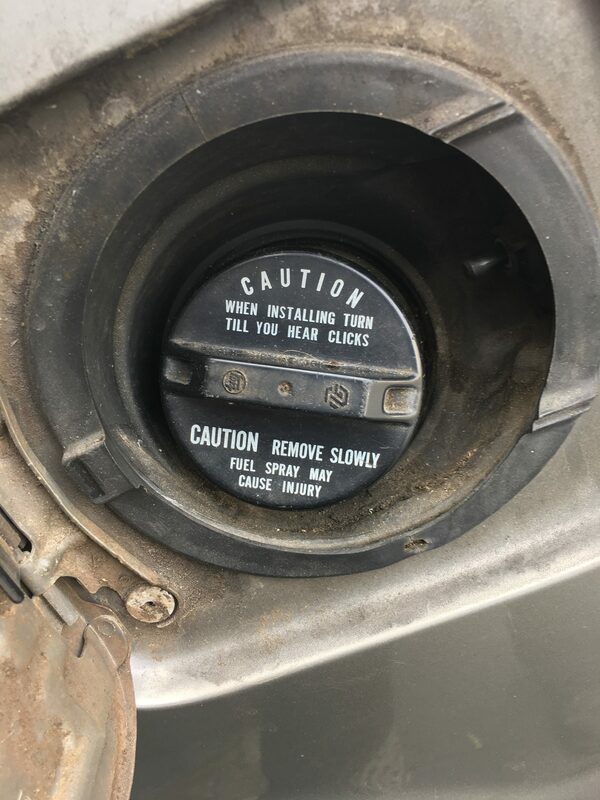 During EVAP testing, a loose or missing gas cap will be detected as a leak, a diagnostic trouble code will be stored, and the MIL will illuminate. A loose gas cap might result in a P0442 code, (Small leak detected), and a missing cap could return a P0455 (Large leak detected). 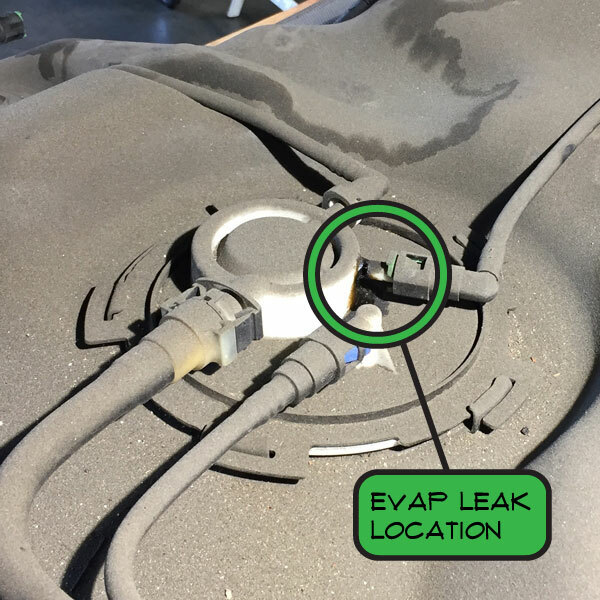 Loose and missing gas caps are not the only cause of EVAP system leaks, but they are the number one suspect. The information presented below is an example of diagnostic strategies that a technician might employ while diagnosing your vehicle’s EVAP system. It is not intended to be exhaustive, complete, or even applicable to all situations. Always follow a vehicle manufacturer’s procedures when performing tests or repairs of any kind. EVAP related diagnostic trouble codes that turn on your check engine light can be set for a variety of reasons. Some faults are caused by leaks while others can result from blocked lines, faulty sensors, or malfunctioning solenoids. 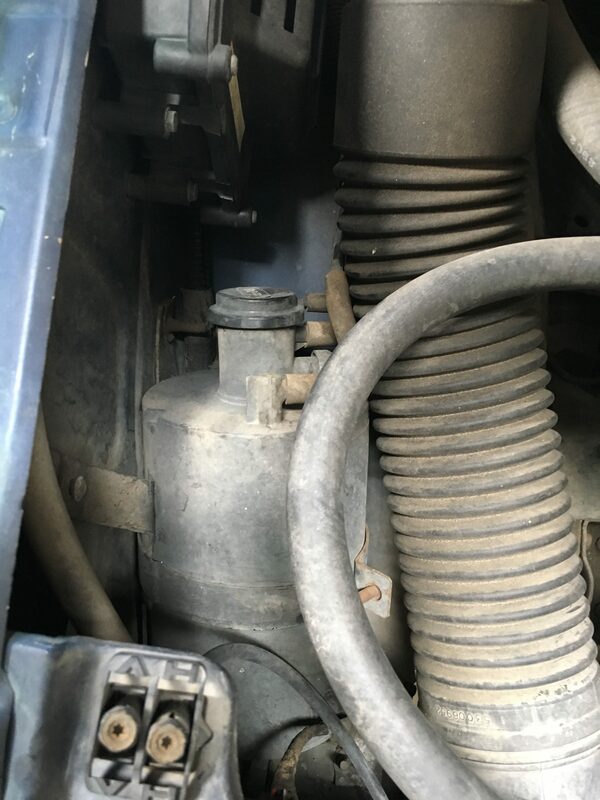 Some vehicles have had issues with spiders laying eggs in EVAP vent lines while others have problems as simple as corrosion preventing a good seal between the fuel cap and fuel filler neck. There’s more to look out for than bad gas caps. That’s why its important for you to have your vehicle diagnosed at a shop that employs technicians with the skills, training, and equipment necessary to correctly diagnose and repair your vehicle without wasting your time and money on unnecessary repairs and hopeful guesses. Before reaching for high tech solutions, a technician should review the basics. You should be asked questions about your vehicle. “Have you had any work done on the car?”. “Oh yeah, me and my brother had to drop the gas tank and replace the fuel pump. We had a lot of trouble with one of the seals. It got a little chewed up, but my brother said it would be fine”. A little information goes a long way towards finding the solution to a problem. etins (TSBs). Are there any known issues with the vehicle that could explain the presence of the diagnostic trouble code. There was an issue with my wife’s 2005 Toyota Corolla that caused several false EVAP diagnostic codes to set. Before doing anything else, I checked for recalls and technical service bulletins. It didn’t take me long to find out that Toyota had issued a recall, and her Corolla was one of the affected vehicles. An ECM manufacturing flaw was causing false EVAP codes to set. A few minutes of research saved me from a few weeks of pulling my hair out trying to find the problem. When I asked my wife, she said that she received the recall letter, but didn’t think that it was important because the “car drove fine”. EVAP control strategies vary from manufacturer, model, and model year. Understanding a system and how it works is the essential first step towards identifying a problem with a system when it doesn’t work according to design. A technician will look for loose, missing, or damaged components. We will often wiggle wires and hoses while looking, listening, and even sniffing for changes. We’ll remove the gas cap and look for damage to the gas cap, o-ring, and filler neck. While reinstalling the gas cap we’ll pay close attention to how it fits. Sometimes an incorrect gas cap will look right, but it will not fit right. We’ll listen for clicks. Does it sound like the cap “locked”? We’ll look again. Is there a puddle of gasoline under the vehicle? Clearly the EVAP system will not seal if there is a large hole in the gas tank. Smoke testing is a common and effective way to pinpoint the location of leaks in a vehicle’s evaporative emissions control system. While smoke testing for leaks, the EVAP system should be sealed. The purge valve is normally closed, but a technician will usually need to command the EVAP system’s vent valve closed using a scan tool. I like to start by test the EVAP system with all components in place. If possible, I’ll introduce smoke through the EVAP system’s test port. The EVAP test port is schrader valve often located in the engine compartment of a vehicle and easily recognized by a green cap. I’ll then look for smoke leaking from valves, EVAP lines, around the fuel cap, the fuel filler neck, and around the gas tank. If I see smoke I’ve found a leak (Not necessarily all leaks). 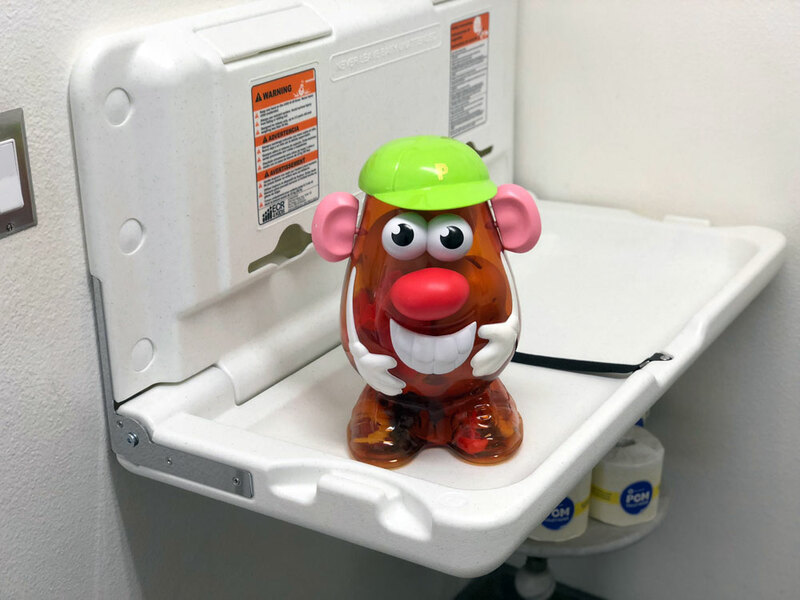 Once the leak has been repaired, I’ll repeat the test and ensure that there are no other leaks. If no smoke is seen on the initial test, I’ll introduce smoke from the fuel filler neck. I’ll then look leaks at, or near, the fuel the test port that may have missed when with the smoke tester was attached. If I still do not see smoke, I’ll reconnect the smoke machine to the EVAP test port and start testing the valves themselves for leaks. For example, I might disconnect the hose on the canister side of the purge valve. Since the purge valve is normally closed, any smoke exiting the purge valve at this stage would be a pretty good indication of a leak. The same is true for smoke exiting a vent valve that has been commanded closed. The valve might be leaking, or there could be a problem on the command side of the circuit (Perhaps a bad ground is preventing activation of the valve), or the valve may have failed electrically. By testing the circuit and the component I can quickly identify the point of failure. I’ll also disconnect electrical connectors while smoking the system. We recently had a Dodge Caravan in the shop that showed no sign of a leak until we disconnected the electrical connector at the leak detection pump (Kind of ironic isn’t it), suddenly smoke started pouring out of the connector. With the harness in place there was no sign of a leak. Look, I’ve tested this car every possible way, and there is no leak! We often remind our customers that diagnostic trouble codes are only a starting point, not the final diagnosis. Sometimes we have to be reminded of that fact ourselves. A diagnostic trouble code indicating an EVAP leak is only as reliable as the system that triggered it. For example: A faulty fuel tank pressure sensor might cause the on-board diagnostic system to falsely indicate a leak. It’s possible to test the fuel tank pressure sensor without removing parts. First, I’ll connect the scan tool to the vehicle’s diagnostic link connector (DLC) and observe the Fuel Tank Pressure Sensor parameter. Again, I’ll observe the Fuel Tank Pressure Sensor value on my scan tool. I should observe an increase in pressure as compared to the original reading. If the value does not change, or does not increase according to the amount of pressure applied by my equipment, and I have verified that the EVAP system is sealed, I’ll suspect a faulty Fuel Tank Pressure Sensor. 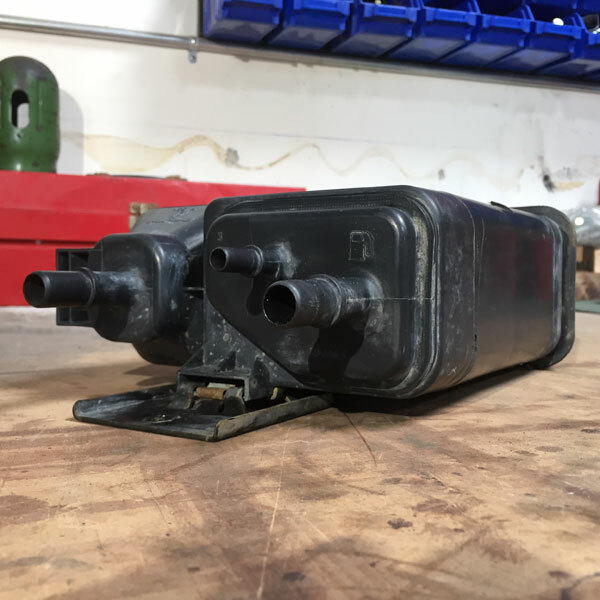 This is just one example how direct observation and an understanding of how a vehicle’s EVAP system works can help diagnose a sensor problem after an EVAP system leak has been ruled out. As OBD II diagnostics and EVAP emissions control strategies become more complex and sophisticated, EVAP diagnostics and repairs are a frequent challenge faced by technicians in the field. When diagnosing EVAP system related diagnostic trouble codes, as with most codes, its important to remember that diagnostic trouble codes are merely a starting point for diagnosis, and not the solution. A technician should observe the basics, do his homework, and understand how to use the tools at his disposal. If you’re in Huntington Beach, Fountain Valley, Long Beach, or the surrounding areas and your vehicle has failed a smog inspection because of an EVAP related problem, you can roll the dice with one of those other guys and hope they know the difference between P0442 and a P0443, or you could call the ASE certified professionals at Just Smogs® in Huntington Beach and have your car diagnosed by a team that has the knowledge, training, and skill to do more than just throw parts at a problem. Call Just Smogs today at (714) 596-1019, or you could try going at it yourself, but who wants to deal with spiders in the vent line? In this post I’ll go over aftermarket catalytic converters, why its important to select a catalytic converter that has been approved for your vehicle, and what smog inspectors look for when inspecting catalytic converters during a smog inspection. This is going to be a long post, so if all you want is a quick summary, feel free to skip to the end. … passed the smog inspection with flying colors except the tech says he can’t find a number on the cat and so he’s failing it … Is this a thing, or is the guy scamming me? Before removing factory original catalytic converters like these, make sure that the vehicle has been properly diagnosed and repaired. Catalytic converters contain a slurry of three rare earth metals (Platinum, palladium, and rhodium) that are used to reduce and convert harmful combustion gasses before they enter the atmosphere. All three of these metals are extremely expensive. For example, the price of platinum on March 9, 2017, was over $947 per troy ounce. If your vehicle is well maintained and in good working order, its catalytic converter(s) should last for the lifetime of the vehicle. However mechanical malfunctions can damage catalytic converters and cause them to fail. Ignition misfires are especially harmful. Did you know, that a flashing check engine light usually indicates a sever catalyst damaging misfire that should be repaired without delay? Other reasons for catalytic converter replacement include theft, incorrect diagnosis of fault codes, and the far too common practice of attempting to mask emissions control issues with new catalytic converters. Just throw on a new catalytic converter, right? 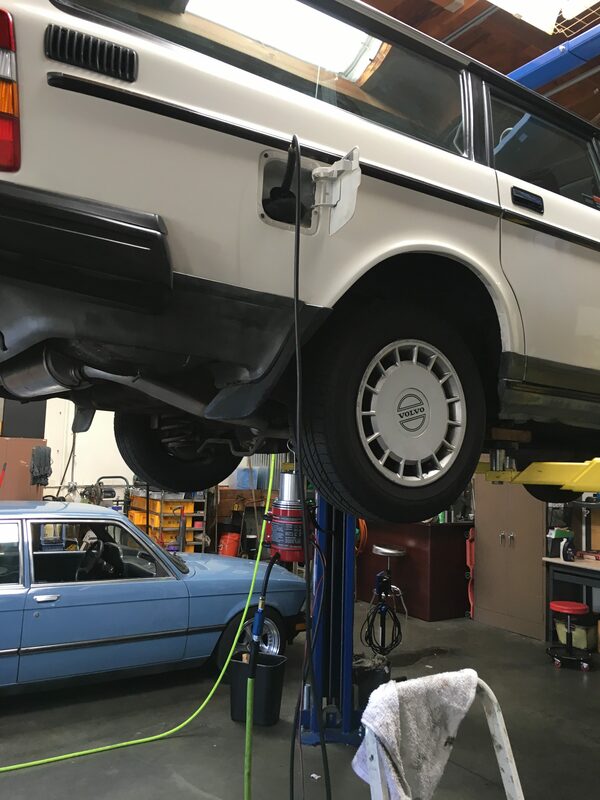 In the past substituting a “bargain cat” for proper repairs was easier to get away with because labeling requirements were unclear, and it was often difficult for smog inspectors to identify incorrect catalytic converter applications. When I first got my smog license, I met a customer who claimed that he made two appointments every two years; one with his muffler guy for a new catalytic converter, and one with my boss for a smog inspection. He was almost proud of the fact that he bought a new catalytic converter every two years. It wasn’t uncommon for people to buy cheap/universal catalytic converters specifically for the purpose of “getting through” a tailpipe emissions test. Very often those catalytic converters were so cheaply made that they might make it through a smog inspection but not much further down the road. The worse part was that perfectly good factory parts were often replaced by low quality aftermarket catalytic converters when a simple repair was all that was necessary. However, new catalytic converter labeling requirements adopted by the California Air Resource Board (CARB) in 2009 make catalytic converter verification much easier. Labels must use letters and numbers that are at least half an inch and readable within five feet. OEM (Original equipment manufacturer – factory) catalytic converters are a great choice for those of us who can afford them, but very often the difference in price between a “factory cat” and an aftermarket catalytic converter can add up to hundreds of dollars (Sometimes thousands if more than one catalytic converter requires replacement). No person shall install, sell, offer for sale, or advertise any device, apparatus, or mechanism intended for use with, or as a part of, a required motor vehicle pollution control device or system that alters or modifies the original design or performance of the motor vehicle pollution control device or system. 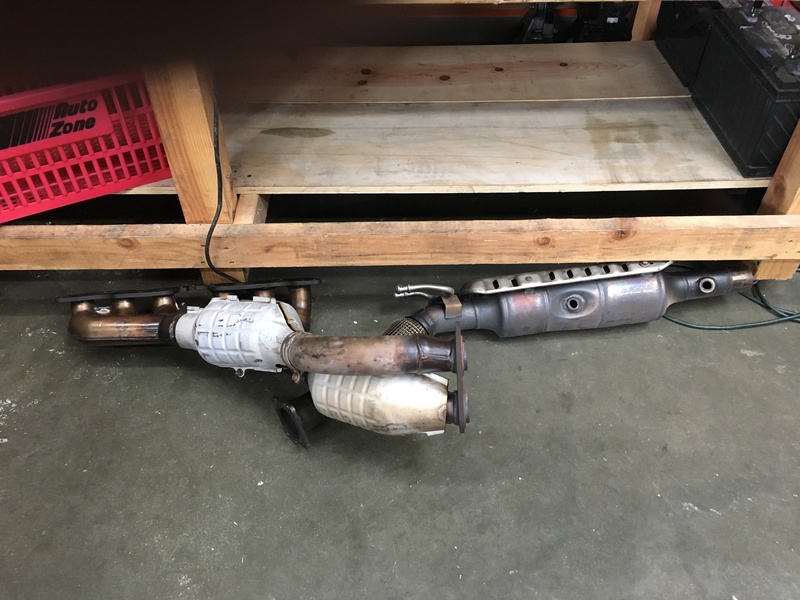 Aftermarket catalytic converters must be exempted from California’s anti-tampering laws in order to be legally sold and installed in the state. If an aftermarket catalytic converter is shown to be durable and meets vehicle emission control requirements, it is granted an exemption Executive Order (EO) that allows it to be installed on specific emission controlled vehicles. If an ounce of platinum costs $947, rhodium $930, and palladium $773 an ounce, how much of each could possibly be in a catalytic converter sold for as little as forty-one dollars? The answer is, not enough to qualify for sale in the State of California! In order to be legally sold and installed in California, a catalytic converter must undergo extensive testing to prove that it is durable and meets emission control requirements. It’s not enough for a catalytic converter to “just get you through your next smog”, it must be built to last. Did you know, that aftermarket catalytic converter installers in the State of California are legally obligated to provide you with a five year/fifty-thousand mile warranty on parts and labor? Did you receive your warranty card? Aftermarket catalytic converters sold in the State of California must be proven to have a minimum durability of 5 years/50,000 miles. When inspecting a vehicle’s catalytic converters, the first thing we check for is original equipment. If a vehicle is equipped with OEM (factory) catalytic converters our job is almost complete. We still need to ensure that all catalytic converters are present, undamaged, unmodified, and installed in their original locations. 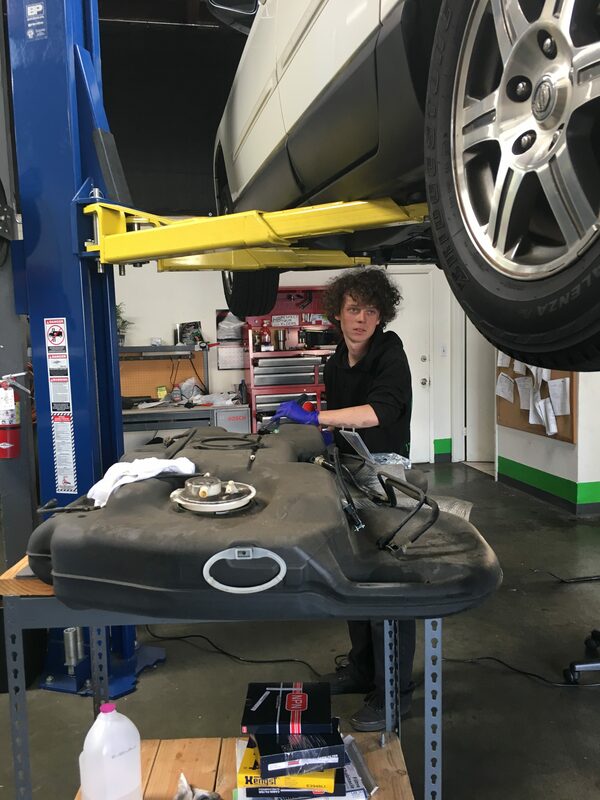 When inspecting aftermarket catalytic converters installed on pre-OBD II vehicles, smog inspectors in the State of California must first follow all of the same rules that apply to OEM catalytic converters. In addition to installing catalytic converters in their original location and configuration, installers must also ensure that they follow all manufacturer guidelines. 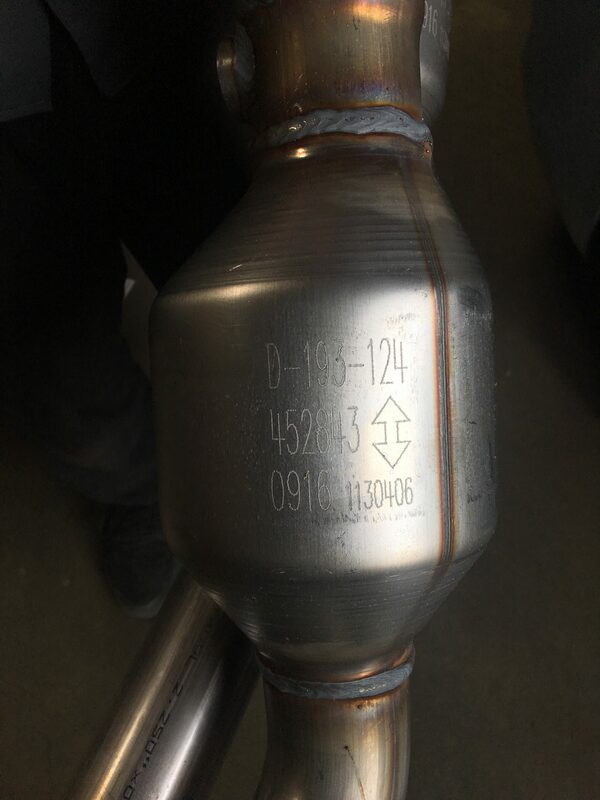 Some catalytic converters have the word “TOP” stamped or engraved on one side (Usually on the heat shield). Very often they will come into the shop installed “upside down”. In addition to the non-shielded side being exposed to the vehicle’s floorboard, the executive order exemption number, manufacturer part number, and date of manufacturer will not be visible. In most cases the smog inspector inspecting the vehicle will enter “Tamper” or “Modified” for the catalytic converter, and the vehicle will fail the smog inspection. All required catalytic converters must be present and properly installed in their original factory locations and configuration. Again, catalytic converters must not be modified or damaged. When inspecting aftermarket catalytic converters installed on pre-OBD II vehicles, smog inspectors in the State of California must also ensure that all aftermarket catalytic converters installed on the vehicle comply with applicable labeling requirements (See above). Unlike OBD II vehicles (Discussed below), inspectors are not required to verify specific vehicle applications when inspecting pre-OBD II vehicles; however, the catalytic converter must be approved for the vehicle category (PC 1, PC 2, T1, T2, etc). PC 1 (Single Configuration) – A passenger car with single or dual exhaust that is equipped with one catalytic converter per bank. PC 2 (Dual configuration) – A passenger car with single or dual exhaust that is equipped with two or more catalytic converters per bank. T1 (Single Configuration) – A light duty or medium duty truck with single or dual exhaust that is equipped with one catalytic converter per bank. T2 (Dual configuration) – A light duty or medium duty truck with single or dual exhaust that is equipped with two or more catalytic converters per bank. A PC 1 passenger car can not be equipped with a catalytic converter that has been approved for T1 vehicles. Again, OBD II aftermarket catalytic must follow the same rules regarding placement, configuration, and condition that apply to OEM and pre-OBD II catalytic converters. In addition to those rules, OBD II aftermarket catalytic converters must be approved by CARB for specific vehicle applications. 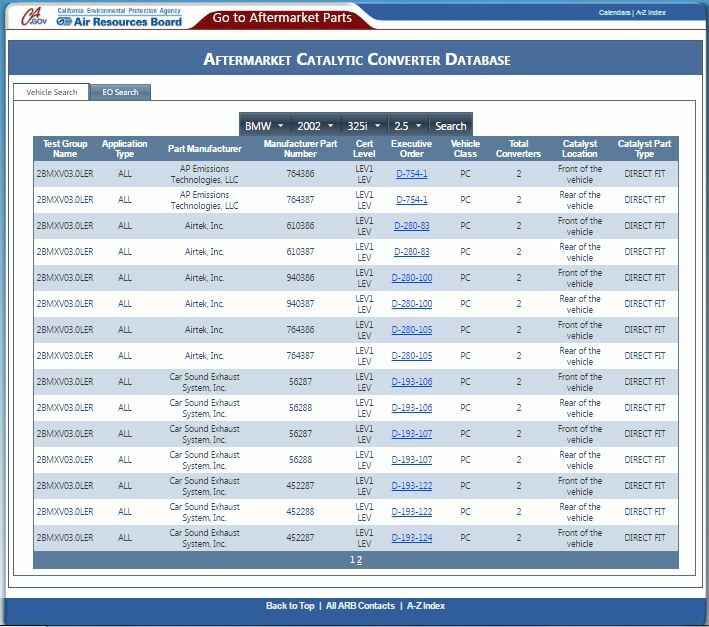 When it comes to inspecting aftermarket catalytic converters (Especially on OBD II vehicles), CARB’s catalytic converter database is the smog inspectors bible. After selecting a vehicle’s manufacturer, model year, model, and engine size from the database’s drop down menus, the database returns a list of all CARB approved catalytic converters for the selected vehicle. Your muffler guy may make a lot of reasonable arguments, but if a catalytic converter is not CARB approved for your vehicle it will not pass a California state smog inspection. To determine the correct catalytic converter part number for your vehicle, you will need its make, model, model year, engine size and test group/engine family designation. The engine family or test group is the one field that seems to create the most confusion among installers, consumers, and even some smog inspectors. All vehicles sold in the United States have a unique drive-train identifier called the “Test Group” or “Engine Family Number”. This number allows owners, parts suppliers, and service providers to determine specifications and installed emissions control equipment of motor vehicles. Because many vehicles may have several different configurations, this number will provide specific information about the emissions control system and exact standards that a vehicle was designed to meet. In many cases a single character in the test group will be the determining factor between a passing catalytic converter, and a failed smog inspection. On Federal/EPA certified vehicles (Those that are not California emissions certified), EFN does not need to match since only CARB approved EFNs are listed in the database. However, all other requirements apply. Q. Federal vehicles are not listed in California application catalog. How do I determine what catalytic converter to install on a federal vehicle? A. Find a catalytic converter exempted for a California vehicle that is of the same make, model, and model year as the federal vehicle, except for the engine family. Install the catalytic converter on the federal vehicle and make a note on your invoice and warranty card that it is a federal vehicle. 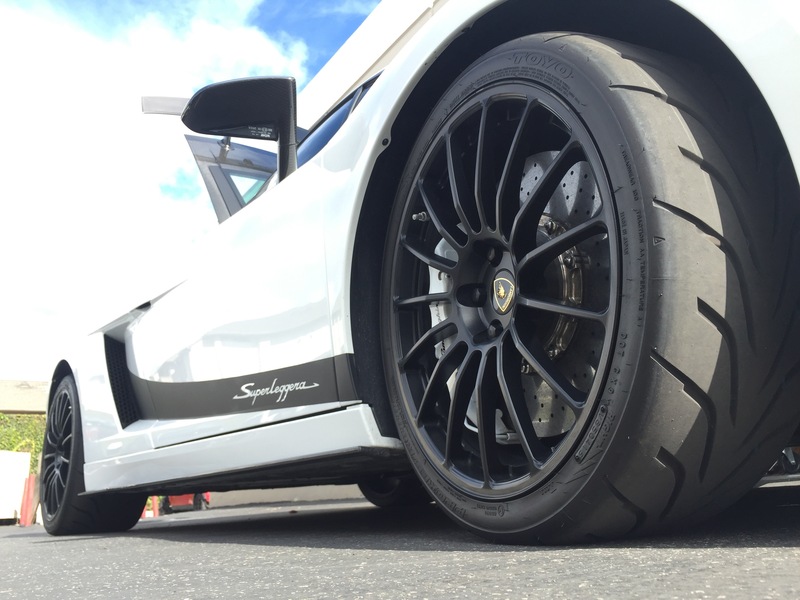 Application type can be 2WD, AWD, 4WD, ALL, etc. We don’t see this very often, but it is possible for a catalytic converter to be approved for two wheel drive applications, but not four wheel drive, or the other way around. The manufacturer of the catalytic converter. The catalytic converter’s manufacturer part number. The part number must be an exact match. 82633 and 82633R are not a match. The catalytic converter’s executive order exemption number. By clicking on the executive order number in the list, you can view a PDF of the actual executive order for the exemption. The executive order document will list information regarding specific vehicles and manufacturer part numbers covered by the executive order. The total number of catalytic converters that should be installed on the vehicle. Not all catalytic converters installed on a vehicle serve the same function. When inspecting aftermarket catalytic converters, it is important for an inspector to ensure that all catalytic converters are installed in the correct location. Affected converters sold on or before their rescission or withdrawal date, are legal for use and installation in California. Affected converters sold after their rescission or withdrawal date, are not legal for use or installation in California. 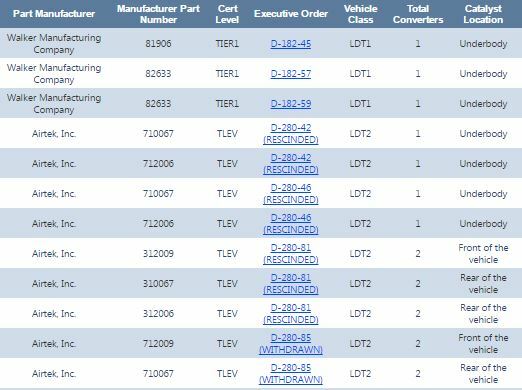 You may have noticed that the catalytic converter database indicates that some executive order numbers are Rescinded, while others are listed as Withdrawn. An executive order exemption that is listed as Rescinded is one that has been rescinded (cancelled) by CARB. An executive order exemption that is listed as Withdrawn is one that has been withdrawn by the manufacturer. In either case, rescinded or withdrawn, it is not legal to advertise, sell, or install affected catalytic converters after the date of rescission or withdrawal. You can find the date of rescission or withdrawal by clicking on the executive order number in the catalytic converter database listing. The applicable date will appear stamped across the executive order PDF document. CARB goofed a few years ago and published the wrong information for certain Toyota Sequoia and Tundra pickup trucks. As a result Sequoia’s and Tundra’s failed smog inspections, and the wrong number of catalytic converters were installed based on CARB’s information. Fortunately CARB decided to play fair. CARB is allowing use of catalytic converters installed based on the wrong information as long as the installation occurred during the affected period. This was a long post, so let’s summarize. Make sure that your vehicle has been properly diagnosed, and that the catalytic converter has actually failed. Repair all other mechanical issues that may have damaged the original catalytic converter. 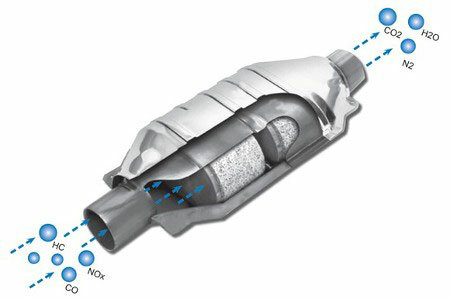 Do not use a new catalytic converter as a substitute for proper emissions repairs. 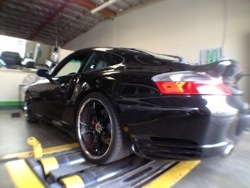 Maintain the original exhaust/catalyst configuration. Do not add or subtract catalytic converters. New converters must be installed in the original catalytic converter locations. Do not modify existing or new catalytic converters. Catalytic converters must be installed according to manufacturer specifications. Do not install replacement catalytic converters upside down. If a top is indicated, that should be on top. If a catalytic converter is installed incorrectly, the vehicle will not pass a California smog inspection and a smog certificate will not be issued. Install catalytic converters that are CARB approved and legal for sale and use in California. If an aftermarket catalytic converter does not comply with CARB labeling requirements, the vehicle will not pass a California smog inspection, and a smog certificate will not be issued. If a catalytic converter is not approved for the vehicle’s class, the vehicle will not pass a California smog inspection, and a smog certificate will not be issued. If any of the above do not match, the vehicle will not pass a California smog inspection, and a smog certificate will not be issued. Catalytic converter visual inspections constitute just one part of the California smog inspection, but if you have made it this far, you now know that it takes a lot of knowledge to do it right. How do I submit my smog test? How do I determine what year a car needs a smog check? 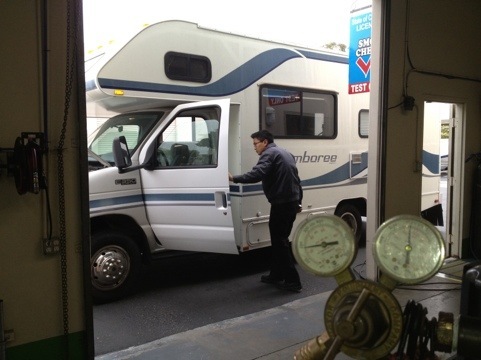 Does my RV require a smog check in California? Why did my car fail for incomplete OBD II readiness monitors? I Thought the rule was that my 1996-2001 car could pass with two incomplete readiness monitors. You don’t need to “submit” your smog test. The results of your smog inspection were electronically transmitted and submitted to the State of California at the conclusion of the smog inspection. 1976 to current model year vehicles are subject to smog inspection. A 2016 model year gasoline powered vehicle would be subject to change of ownership smog inspections beginning in 2020 (2016 + 4 = 2020). Biennial (Every two years) smog inspections begin after the sixth model year. A 2016 model year gasoline powered vehicle would be subject to biennial smog inspections beginning in 2022 (2016 + 6 = 2022). A good rule of thumb is that even number model years are due for smog inspections on even numbered years. Odd numbered model years are due on odd number years. This year (2017) we started performing biennial smog inspections 2011 model year vehicles. We’re also inspecting 2009, 2007, 2005, 2003, 2001, 1999, etc. The only difference between hybrid/gasoline powered vehicles is that hybrids become subject to smog inspections beginning with model year 2000 instead of 1976. Diesel powered vehicles under 14,000 pounds GVWR become subject to biennial smog inspections beginning with the 1998 model year. Unlike the vehicles described above, diesels do not have a four year change of ownership exemption, nor do diesels have a six year new vehicle exemption. In most cases, the answer is yes. If your your 1976 or newer motor home (RV) is gasoline powered, and more than four years old, it is subject to smog inspections in the state of California. If your 1998 or newer motor home (RV) is diesel powered and has a GVWR of 14,000 pounds or less it is subject to smog inspections in the state of California. Click here for more information about smog requirements by vehicle type. Why did my car fail for incomplete OBD II readiness monitors. I Thought the rule was that my 1996-2001 car could pass with two incomplete readiness monitors. Emission test rules previously allowed for a car to pass the smog inspection with two incomplete readiness monitors; however the rules changed effective May 4, 2015. Most 1996 – 1999 model year gasoline powered vehicles will fail the California smog inspection if two or more OBD II monitors are incomplete. Any one OBD 2 readiness monitor can be incomplete and a gasoline powered car will pass the smog inspection. Most 2000 and newer gasoline powered vehicles are subject to stricter rules. A 2000 or newer model year vehicle will fail the smog inspection if any monitor other than the EVAP monitor is incomplete. 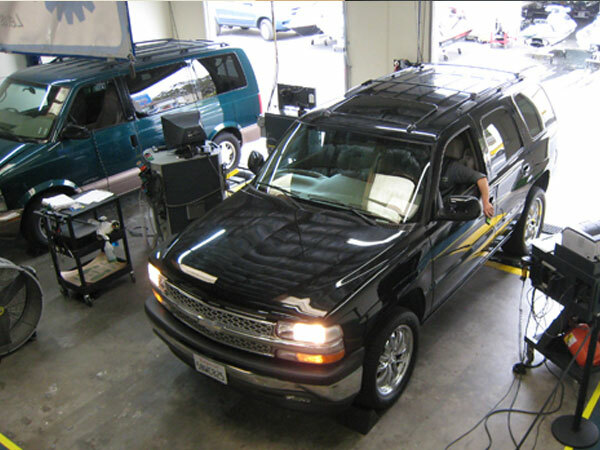 Most 1998 – 2006 OBD II certified diesel powered vehicles will fail the smog inspection if any monitors are incomplete. All OBD II monitors must be complete in order for a 1998 – 2006 model year OBD II certified diesel powered vehicle to pass the California state smog inspection. Most 2007 and newer model year OBD II diesel powered vehicles can pass with two incomplete monitors. If more than two monitors are incomplete the vehicle will fail the smog inspection. Some vehicles are known to have difficulties completing OBD II monitors and may be subject to different rules. For more information see the Smog Check OBD Reference. How many readiness monitors have to be complete to pass smog? What if I cannot get my smog test in California before it is due? Can I go to another smog check station after failing? The shop that failed my car also does repairs, can I go someplace else for repairs? A relative gave me a car, do I need a smog inspection? If my check engine light doesn’t turn on at all will I pass smog? If you fail OBD II on a smog check, should your overall smog fail? To quote one of my instructors in smog school, “There’s no such thing as an as-is sale on a car that wont pass smog”. A spouse, domestic partner, sibling, child, parent, grandparent, or grandchild. The California Department of Motor Vehicles will not complete the transfer of ownership until the vehicle passes a smog inspection. The short answer is that the State of California is looking out for your interests. The idea is to prevent someone from dumping their problem car on you. But I got such a great deal! We recently had a BMW in the shop. The customer bought the car without a smog. 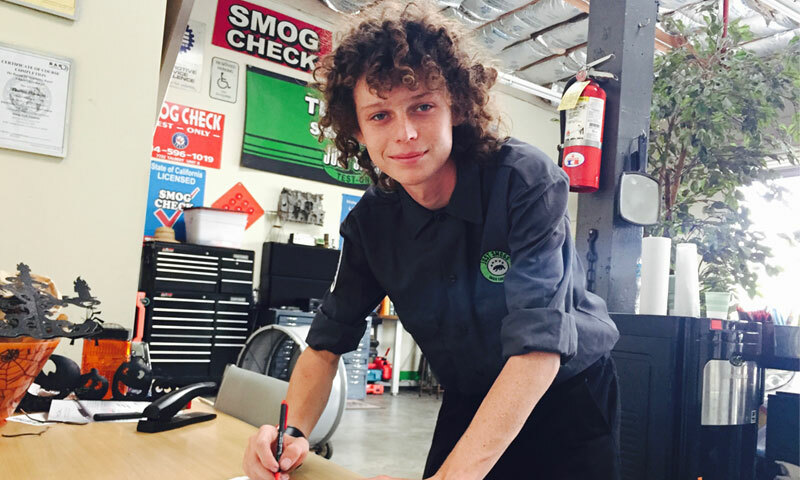 He thought he got a great deal until he learned that the vehicle would require several thousand dollars worth of repairs before it would pass a smog inspection. Needless to say, our customer no longer believes that he got such a great deal. The state will allow a transfer to occur if a vehicle has received an emissions certification within the last 90 days, but a lot can happen in 90 days. Maybe the car squeaked through its last inspection. Maybe something that was getting ready to go went. Perhaps fraud was involved. The Vehicle Emissions System Statement is a DMV form that even most smog inspectors don’t know about. … You may have this vehicle tested at a licensed smog check station prior to completion of this transaction to verify compliance. If the vehicle passes the test, you shall be responsible for the costs of the test. If the vehicle fails the test, the seller is obligated to reimburse you the cost of having the vehicle tested and, without expense to you, must have the vehicle repaired to comply with specified emissions standards prior to completion of this transaction. While having a current smog certificate can be a selling point, it can be in the interest of the buyer to have the results of the last smog inspection independently verified. In today’s vehicles emissions problems are often related to issues that affect fuel economy and driveability. You might be out the price of a smog inspection, or you could save yourself a lot of headaches down the road. I always recommend checking a vehicles smog check history. You can search for a vehicle’s smog check history by license plate or vehicle identification number (VIN). I always recommend searching by VIN, especially if that old car you’re thinking about just happens to have a brand spanking new license plate. If you spot a repeating pattern of several failed smog inspection followed by a single pass, the car in question might not be the car you’re looking for. I hear you. Some of us can’t afford a new car, while others don’t want a new car. Either way, it’s important to protect yourself. Check the smog check history. Ensure that the vehicle has passed a valid smog inspection within the last 90 days. 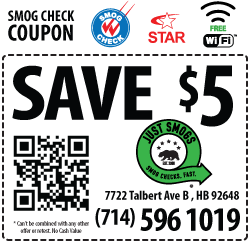 And most important of all, to ensure peace of mind, have the vehicle inspected by the dedicated STAR certified professionals at Just Smogs® in Huntington Beach. Click here to make an appointment. 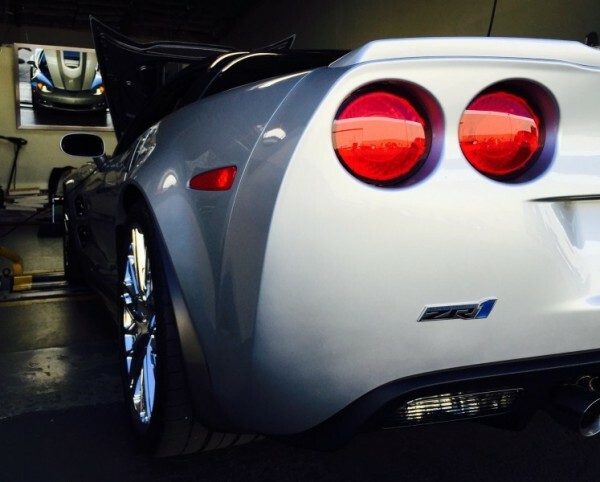 Where can I get a STAR Smog Inspection in Huntington Beach? This continues to be number one on the hit parade. Nobody wants to hear the dreaded words, OBD II not ready. 1996 to 1999 Gasoline powered vehicles: Any one monitor can be incomplete. 2000 and newer Gasoline powered vehicles: All monitors, with the exception of the EVAP monitor must be complete. 1998 to 2006 OBD II certified diesel powered vehicles: All monitors must be complete. 2007 and newer OBD II certified diesel powered vehicles: Any two monitors can be incomplete. OBD II, “CHECK-ENGINE” LIGHTS, and READINESS MONITORS..WHAT ARE THEY? Even if you do not pass smog, you can avoid paying late fees by paying all registration fees on time. While the DMV will not issue a registration renewal until all requirements, including the smog certification, are complete, the DMV will stop assessing further late fees upon receipt of your payment. You may also be eligible for a temporary moving permit. Contact the California DMV for more information. Can I go to another smog station after failing? Absolutely! 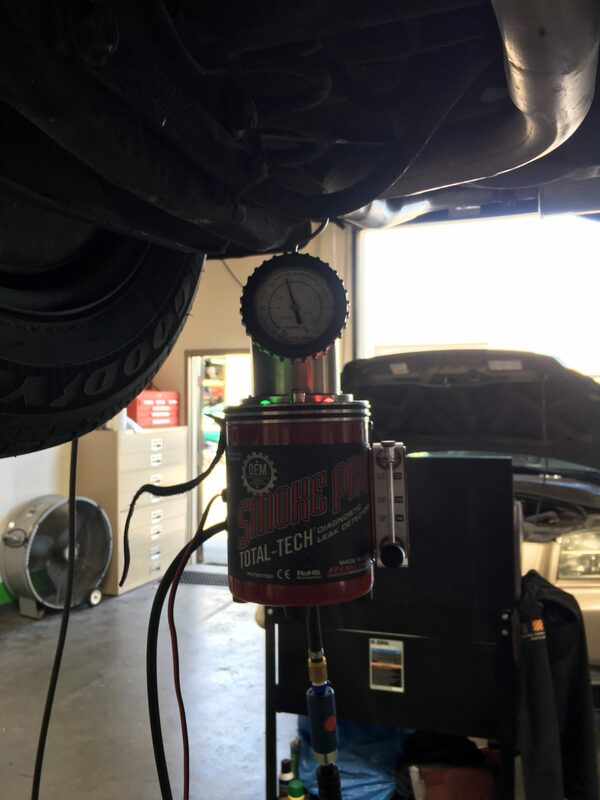 Many people are under the mistaken impression that they have to return to the original smog shop to finish the smog inspection after failing. Not true. Pass or fail, that smog inspection ended when you received the results. It’s done. You are free to have the vehicle inspected at any shop. Of course, if the vehicle requires an inspection at a STAR certified shop, you must take it to a STAR station. Also, it important to note that if the shop that inspected your vehicle promised you a free retest, or any other discounts, those promises only apply at the shop that made the offer. Again, absolutely. 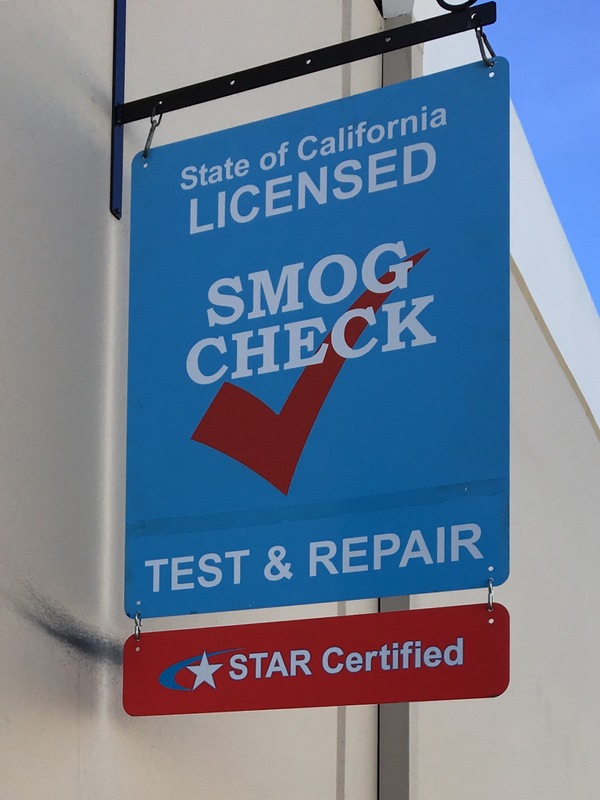 Shops performing emissions repairs in the State of California are required to be licensed by the Bureau of Automotive Repairs; however, you are not obligated to have your vehicle repaired by the shop that performed the smog inspection. If my car check engine light doesn’t turn on at all will I pass smog? No, if the check engine light (Service Engine Soon, MIL, etc), is burned out, missing, disconnected, or not functioning normally for any reason, the vehicle will not pass the California smog inspection. If a vehicle fails any part of a smog inspection the state’s software will not certify the vehicle. In other words, the vehicle will fail. As a matter of fact, if the check engine light isn’t on, the technician inspecting your car won’t know your car failed until the test is over. Huntington Beach, Newport Beach, Fountain Valley, and beyond, the choice is simple! 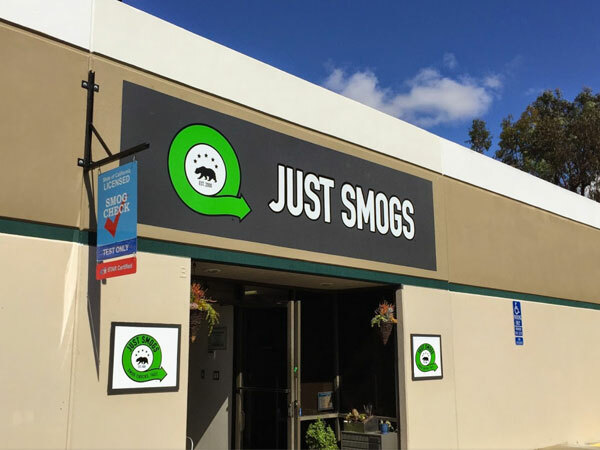 For any and all smog inspections, booking an appointment at Just Smogs® in Huntington Beach will be the best smog inspection decision you’ll ever make. Click here, or call (714) 596-1019 to make an appointment. 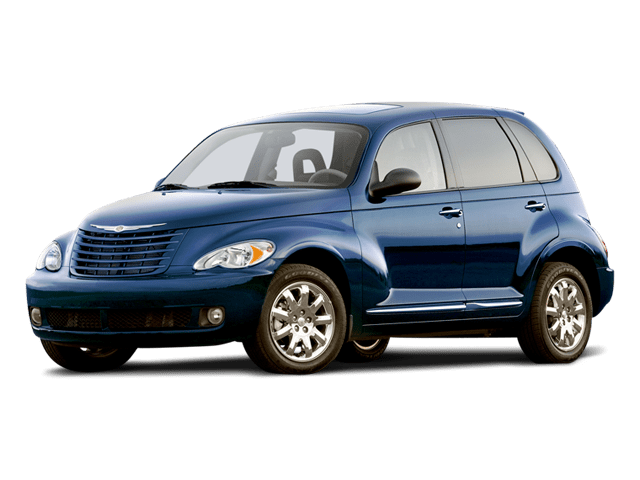 Some 2003 Chrysler PT Cruisers (2.4 liter DOHC 16v turbocharged, sales code EDV, with 5- spd manual G288 trans, sales code DDD) are unable to complete the OBD II Catalyst monitor because of a firmware error. Chrysler is aware of the problem, and a firmware update is required to correct the problem. If you own an affected vehicle, please contact your Chrysler dealer for more information. Reference technical service bulletin number 18-112-16. Repair reimbursement may also be available. Per waranty D-16-26, the warranty for reprogramming the PCM on affected vehicle has been extended to a lifetime warranty. 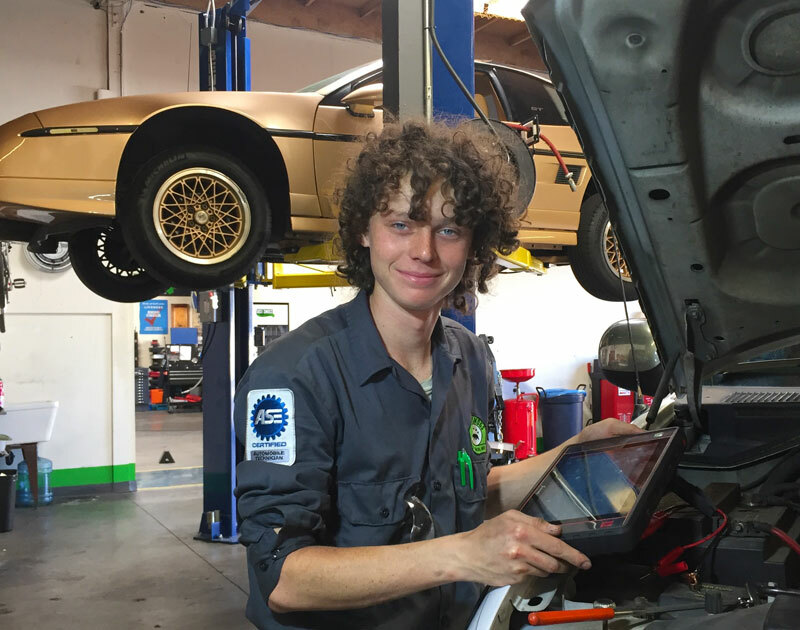 In recent years the California Bureau of Automotive Repairs (BAR) and the California Air Resource Board (CARB) have increasingly shifted the emphasis of the California emissions program to on-board diagnostic trouble codes & monitor readiness. This is especially true for 2000 and newer model year vehicles. If you are having trouble completing OBD II readiness monitors on your 1996 or newer vehicle, the licensed professionals at Just Smogs® in Huntington Beach can help. What are OBD II readiness monitors? The short answer is that OBD II readiness monitors are usually something that average motorists never have to worry about until they have a reason to worry. OBD II readiness monitors are self tests run by a vehicle’s on board diagnostic system. OBD II monitors have two states: ‘ready’ and ‘not ready’. Some scanners and code readers may display ‘complete’ , ‘incomplete’ , comp, inc, etc. It all comes down to whether or not a test has been run to completion. When one of these test fails, the check engine light is illuminated; otherwise, a driver normally has no indication that OBD II readiness monitors exist. It’s not uncommon for OBD II readiness monitors to be reset following repairs. This is especially true if the check engine light was on. If a vehicle’s power train control module (PCM – ‘The Computer’) loses power due to a dead or depleted battery, or if diagnostic trouble codes are cleared using a scan tool, all readiness monitors are automatically set to incomplete/not ready. Incomplete readiness monitors aren’t something that you have to worry about unless your vehicle is due for a smog inspection. 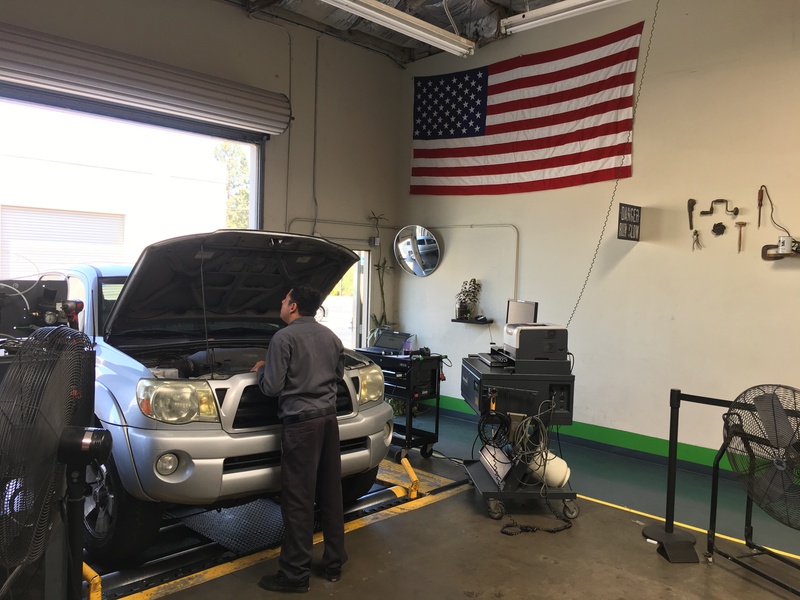 Readiness monitors are run in the background and by design do not affect driveability, safety, or fuel economy, but they are an important part of the California smog inspection program. In order for a vehicle to pass a smog inspection in the state of California, most OBD 2 monitors must be run to completion. For example, in order for most 2000 and newer gasoline powered vehicles to pass the smog inspection all monitors with the exception of the evap monitor must be complete. If any monitor other than the evap monitor is incomplete the vehicle will fail the smog inspection. If you’ve ever had an issue with OBD II readiness monitors, you’ve probably heard the phrase, “Drive it fifty to one-hundred miles and you should be fine”. I drove my car hundreds of miles, and it still isn’t ready! Some cars are known to have issues that can make completing OBD II readiness monitors extremely difficult. BAR maintains a list of such vehicles and possible solutions (The Smog Check OBD II Reference). Very often the solution involves following a very specific drive pattern that some motorists find difficult to complete during their normal driving routine. That’s when Just Smogs® can help. If your vehicle is otherwise in good repair, and you are having difficulties completing the OBD II drive cycle, the professionals at Just Smogs® can complete the drive cycle on most vehicles that do not require further repair or diagnosis. This service offering does not include any diagnostics or repairs that may be necessary to enable the OBD II drive cycle, nor does it include diagnostics or repairs that may become necessary should the drive cycle trigger a diagnostic trouble code or check engine light. Of course in most cases you should be able to complete the drive cycle yourself with no more effort than a Sunday drive, but in case you can’t, the professionals at Just Smogs® are here to help. For more information about Just Smogs® OBD II drive cycle service, call (714) 596-1019.